The internationally-renowned Royal Dornoch Golf Club is continuing a drive to help its neighbours by seeking new community projects to support. Big hearted golfers at the world famous club established a community fund in 2015 to help local groups, using a percentage of the net green fee income from visitors who come from all parts of the world to play at the acclaimed links. Since then, £12,000 has been distributed to 25 worthy causes, including church groups, sports clubs and children’s and youth activities. Last year, assistance was also given to a committee organising a series of activities to mark 400 years to golf being played in the town. The club, which is part of Highlands Golf Links (HGL) – a partner body that promotes golf tourism in the region – is now seeking new applications for funding. 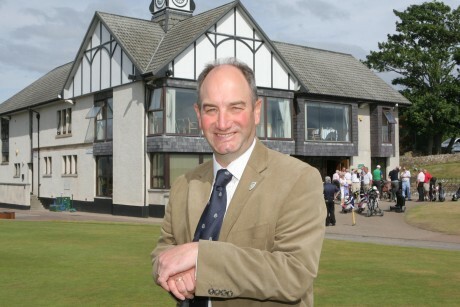 Neil Hampton, Royal Dornoch Golf Club’s general manager, said: “We are very proud members of our community and feel privileged to be in a position to help other organisations which contribute to community life. Up to one per cent of the club’s green fees income is used to top up the social fund, which is controlled by RDGC’s Council of Management. Organisations based within the IV25 postcode can apply for donations of up to £500 with payments determined by a four-strong committee, including the club Captain and the two immediate predecessors, as well as a nominee from Dornoch Area Community Council. Applications should be sent to Neil Hampton at neil@royaldornoch.com or at Royal Dornoch Club Golf, Golf Rd, Dornoch IV25 3LW. Applicants should provide a brief description of their activities and what the money would be used for. The closing date is Friday, 17 February 2017. Highland Golf Links also includes Castle Stuart Golf Links and The Nairn Golf Club, as well as the Kingsmills Hotel and Culloden House, Inverness and the Royal Golf Hotel at Royal Dornoch.